I've got mp3's of the red marked recordings resp. I've got the CDs / Vinyls / shellacs! 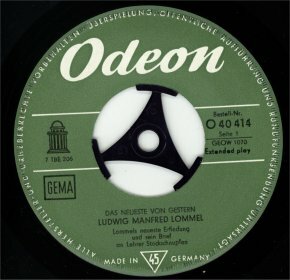 * These recordings and scans I've got from Ulf Graupner (Berlin). Many thanks! 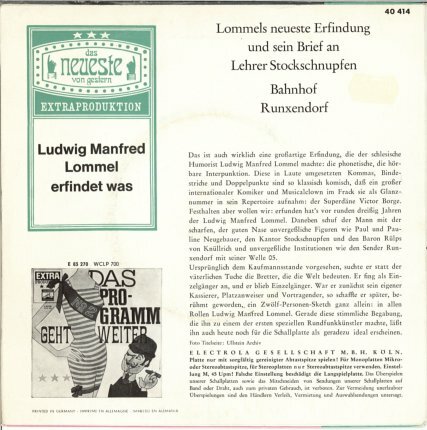 Thanks as well for the overview of Homocord recordings of Ludwig Manfred Lommel. 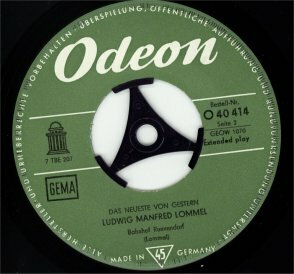 ** These recordings and scans I've got from Michael Schmiedecke (Mittenwalde). 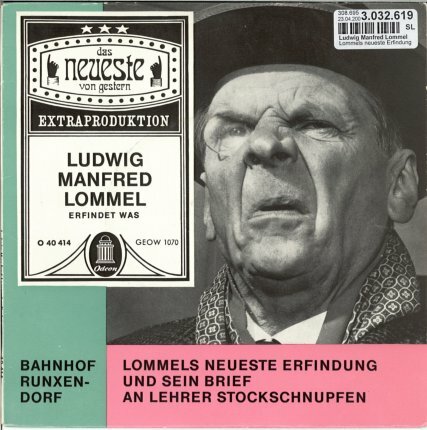 *** These recordings and scans I've got from Ulrich Mayer (Landsberg).